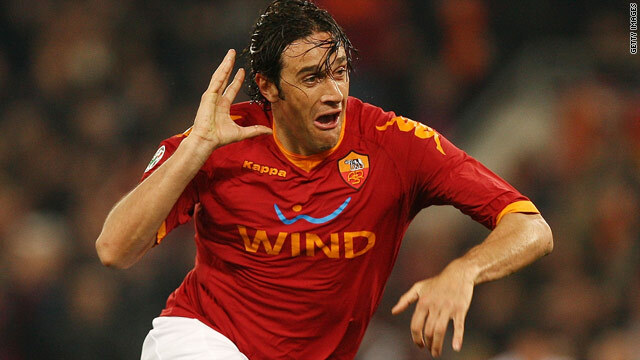 Luca Toni in action for Italian club Roma, where he spent time on loan last season. (CNN) -- German Bundesliga champions Bayern Munich and Luca Toni have agreed to cancel the Italian striker's contract. Toni spent the second half of last season on loan at Italian side AS Roma after being deemed surplus to requirements at Bayern by coach Louis van Gaal. The 33-year-old is reportedly a target for Genoa and has agreed to a termination of his contract in order to become a free agent. Toni joined Bayern in 2007 and scored 24 goals in his first campaign at the club to become the Bundesliga's top scorer, as Bayern won both the league and the cup. He scored a further 14 goals the following season but suffered with an Achilles Heel injury, which recurred at the start of the 2009/10 season. Toni reportedly fell out of favor with Van Gaal and was allowed to leave for Roma in January this year. He scored five goals in 15 appearances but Roma did not seek to tie him down permanently. "I would like to warmly thank Luca Toni for his efforts and his goals, especially in our double-winning 2007/8 season," Bayern chairman Karl-Heinz Rummenigge said on the club's official Web site. "I'd like to take this opportunity to wish Luca Toni all the best for the future at his new club."